Whos going make us a laser light enough to lift with enough range to be useful. Heres a roof inspection and very simple point cloud extracted from photosynth. So we need something weighing no more than 2kg and cheap! Which kind of UAV are you using? There are solutions, not cheap though. What exactly is meant by "cheap"? Gary Mortimer wrote: Whos going make us a laser light enough to lift with enough range to be useful. 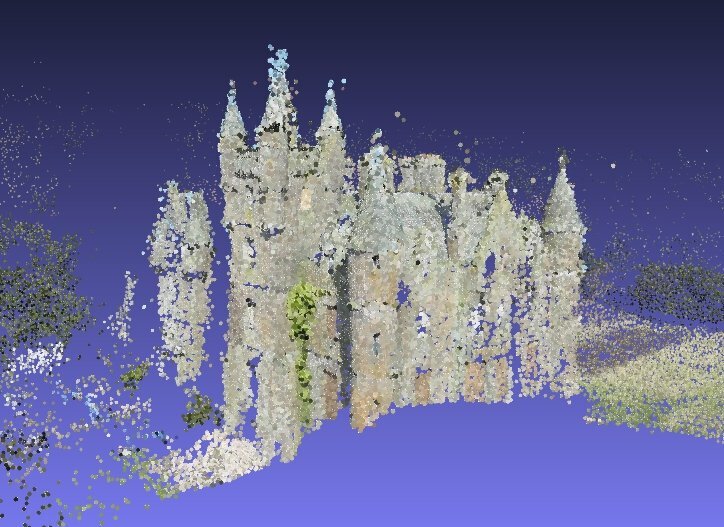 Heres a roof inspection and very simple point cloud extracted from photosynth. Our laser scanner we are developing weighs less than a kg with a range of 150 m scanning at 40khz, 60 lines a sec, 5cm accuracy, we anticipate a full working LIDAR to be around 5-6 kgs with all the kit imu, gps, rtk, ect and battery power. we are also developing our own multirotor platform to lift the system for 15mins. All comes under the 20kg all up weight in regards to flying rules and regs !